Grameenphone Ltd. is the leading mobile telecom operator of Bangladesh with more than 10 million subscribers. It provides GSM based service. It is a joint venture enterprise between Telenor and Grameen Telecom. Telecommunication industry is becoming more competitive with the entrance of new competitor. As competition is increasing in this industry so to hold the leadership position Grameenphone will have to be very much cautious about its all sorts of operations. Grameenphone believes Excellency in its service towards the subscribers. For providing excellent service, the organization needs to import different goods and equipments. Those things are used for network expansion, up gradation of services and continuing accurate operation. Sales Commission unit under local treasury department deals with different activities related with Sales Commission. In the Sales Commission unit, major problem are: Data accumulation, Outlet: level of education, negotiating payment terms with the Government and dealers, frequent change in calculation and proper implementation of government rule and regulation, etc. For solving some problems, GPDC is online & data accumulation is also online, More co-ordination between far flung areas to ensure better communication flow, Better banking facilities (Online Banks) as the commission payments are made in far flung areas of the country. Management will have to take some initiatives to resolve these issues. In addition to that if the entire process can be operated through Internet based solutions then it will be much more efficient. More over, if they can use financial clearing house then the entire process will be much more efficient. For overcoming the first problem concern person of that unit will have to sit with ERP team to update them (ERP team) about different report requirements from the ERP for this unit. One important issue regarding all the departments is; none of them is getting appropriate support from the Enterprise Resource Planning (ERP) software of Grameenphone. I have developed a fund-forecasting model for the Sales Commission for generating different reports in Microsoft Excel but ERP should have the options to generate these reports. As ERP is still in the implementation stage so it is expected when ERP will be able to provide full support then the entire process will be much more efficient. To analyze Sales Commission Policy of Grameenphone. The scope of the study is limited within telecommunication business in Bangladesh. It is also limited within the organization of Grameenphone Ltd. and especially within Finance Division of the company. Here I discuss mostly with the topics related to the International settlement & Insurance department of Grameenphone Ltd.
• Confidentiality of data was the main constraint that was faced during the study. As a part of the policy of Grameenphone, some data that could not be used to enhance the parameter of the analysis. Because, maintaining the secrecy of such data is important to the organization’s interest. • Office personnel and officials are very busy with their occupational activities. Therefore, it will be a little bit difficult for them to help within their right schedule. 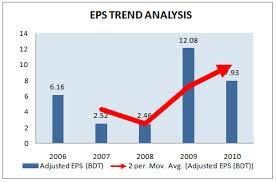 • As the annual report of 2006 yet not published, I used some data of 2005. • Beside all the above restraint, the lack of experience on the part of the researcher in this field may have become yet another limiting factor. This report is broadly organized into three parts. The first is the introductory part. Second part contains the overview of the organization itself. The last part concentrates on the project part. This part also contains the recommendations and conclusion. November 28, 1996: Grameenphone Ltd. was offered a cellular license in Bangladesh by the Ministry of Posts and Telecommunications. March 26, 1997: GP launched its service on the Independence Day of Bangladesh. June 1998: GP started its services in the port city of Chittagong, the second largest city in the country. Cell to cell coverage in the Dhaka-Chittagong corridor also enabled GP to introduce its service in a number of other districts along the way. 1999: GP started its service in the industrial city of Khulna. Once again, a number of other districts came under coverage of GP because of the cell to cell coverage between Dhaka and Khulna. 2000: Grameenphone started its services in Sylhet, Barisal and Rajshahi, bringing all six divisional headquarters under the coverage of its network. 2003: After six years of operation, Grameenphone has more than one million subscribers. 2005: Grameenphone continues to being the largest telecommunication operator of Bangladesh with more than 5 million subscribers. 2006: Grameenphone reached 10years of its operations and 10 millions of subscribers. Grameenphone Ltd. has a dual objective to receive an economic return on its investments and to contribute to the economic development of Bangladesh through telecommunication. This is why Grameenphone, in collaboration with Grameen Bank and Grameen Telecom, is aiming to place one phone in each village (Village Phone) to contribute significantly to the economic benefit of the poor. It is on the way to bring a total revolution in the telecommunication field. By attaining the success factors, Grameenphone would like to be recognized as a reliable, honest and committed company to its valued subscribers and stakeholders. The basic strategy of Grameenphone Ltd. is for the overall coverage of both urban and rural areas. It builds continues coverage, cell after cell, with an intention to bring the whole country under its network. Though the priority of the intensity of coverage varies from area to area, the basic strategy of cell-to-cell coverage is applied through the whole country. Presently, it has network coverage in 61 districts around the country including all six divisional headquarters, with 1388 base stations in operation. The company offers a wonderful and friendly working environment in the office. Grameenphone has conducive and safe working environment. The Company’s intent is to establish a good working relationship through a mutual understanding of expectations. With its present status GP aims to expand and grow at a faster pace by utilizing the best possible opportunities and expansion of Network throughout the whole country. The growth trend of the number of subscribers of Grameenphone Ltd. is a unique example in the telecommunication field in Bangladesh. The total number of GP subscribers at November -2006 reached 10 million. This is really a fabulous achievement in such a short period of business history. By bringing electronic connectivity to rural Bangladesh, Grameenphone is brining the digital revolution to the doorsteps of the poor and unconnected. Grameen bank borrowers are engaged in a business by providing valuable phone service to their fellow villagers. For them, mobile phone is a weapon against poverty. With this service, one can receive and send Text Messages (a maximum of 160 characters per message) to any other local mobiles and to foreign operators’ (international) mobiles as well. With Push-Pull service, one can enjoy more than 160 contents (Ex: Usage Info, Payment Status of last bill, Sports news, Emergency numbers, Restaurants, Airline and Railway timing, travel info etc.). VMS works like an answering machine. When one is not available or outside the coverage area or simply busy, the caller can leave a message in voice mailbox, which can listen or retrieve. This service enables a Grameenphone subscriber to send/receive fax and data through their handsets by connecting to a PC/Laptop. Currently, this service is offered to corporate clients only. This is a tool to access WAP-enabled information from the Internet through GP mobile phones. One can also access yahoo e-mail account through GP WAP service. This is a news broadcasting service jointly provided by Prothom Alo and The Daily Star. A subscriber can call 222 from his/her GP mobile phone and listen to the latest news highlights in English or Bengali. Grameenphone believes that “good business leads to good development”, since high level of productivity is development. The activities of GP contribute to the socio-economic development of Bangladesh in many different ways.In addition to employing nearly 1500 people, more than 100,000 people are directly dependent on GP for their livelihood, including the people working for the dealers, agents, contractors, suppliers, and a major portion of that figure includes the Village Phone operators. 2004 Photography & Painting Exhibition and many other activities. Moreover, GP has also restored the exterior of the historic Old Railway Station Building in Chittagong as per its original architectural design. It has sponsored a scholarship fund for the poor and meritorious students of the Finance and Banking Department of Dhaka University in cooperation with the Finance and Banking Alumni Association. GP has also donated 16 computers to two schools for underprivileged children.In the sports arena, GP is currently sponsoring the Bangladesh National Cricket Team for a period of two years through 2005-2007, and sponsored the National Under-19 and Under-17 cricket teams. It was also one of the main sponsors of the live telecast of “ICC World Cup Cricket 2003. GP also sponsored the President Cup Golf Tournament, and sponsors the visits of newspaper reporters abroad to cover major sports events. Sales commission: Start-up sales commission is the commission paid to point of sales for initial sale of GP connections. It is different products and is given in different phase.  We make provision for a month based on the activation data of that month.  In the following month, provision is reversed and actual liability is created.  After actual liability is created in ERP, payment is made form ERP.  Physical payment is done through City NA online banking.  Month-wise commission analysis is done at the end of each month for reporting purpose. For pre-paid products commission is divided in three parts – Upfront commission, Usage Bonus and Quarterly locality bonus. – Upfront commission is given to POS at the time of sale. – Usage Bonus is given after verifying first three month’s usage of the customers. For post-paid products commission is given in two phases for all products and in four phases for only Business solution products. – Post-paid commission for all products is given to POS based on 3 months bill payment history of the customers. – Commission for Business solution products is given to POS based on 12 months and 18 months bill payment history of customers. – Besides these, for GP public phone products, Brand promoter supervisors are given a fixed amount per connection.  Take activation quantity from S & D and make month-wise provision.  When usage bonus or contract is calculated by S & D for that month, actual liability is created in ERP as a batch of POS wise payable invoices.  The provision created manually is reserved in the following month when actual liability is created.  Take sales quantity from S & D and make month-wise provision.  When POS become eligible for payment S & D initiates to create actual liability in ERP.  The provision created manually is reversed in the month when actual liability is created.  S & D provides one POS wise excel based file to finance for making commission payments to individual POS and another file to ERP for creating POS wise invoice in ERP.  Prepare a summery report from the POS wise excel file (sent by S & D) including total eligible quantity and amount of commission.  Reconcile between the summary report and ERP payable invoice batch.  Checking commission rate and receive proper approval from S & D.
 Batch-wise validation of invoice.  Base-wise accounting creation for invoice.  Base-wise approval of invoice through Data loader.  Base-wise payment in ERP by selecting proper bank account.  Base-wise accounting creation for payments.  Check accounting for invoices and payments. o Month-wise analysis of commission provision for both upfront commission and usage bonus, loyalty bonus, post-paid sales. o Preparation of commission reports as per management requirement and auditor’s requirement. o Transfer the excel-based data in the specified imp. Format of Citi NA. o Upload the Citi NA specified format in Citi NA online software Citi Direct. o Take approval from Finance Management. o When bank sends the cheques, count and deliver them to S & D.
Activation Bonus is applicable for activation within the last day following 2nd month of delivery&the bonus will be disbursed on monthly basis. DHO (Dealer Head Office) will receive TK=100Additional Commission For Explore products. Collection of sale proceeds from 29 GPDC against sale of KIT and Reload items. Collection of sale data from GPC. Payment of sales commission to POS. Reconciliation of all collection and commission payment bank account. • Cost collection by GPDC finance office against sale of KIT, Scratch Card and Flexi load from deposit bank. • Collection of daily sale report over Phone. •Reconciliation of bank deposit data with bank statement. •Weekly or monthly reconciliation of invoice QTY & cash receipt in ERP (Twice a Month). • Application of money receipt in ERP for adjusting receivable. • Bank account & Insurance coverage arrangement for new GPDC. • Collection of sale Data from GPC operational team. • Reconciliation with collected data with POS (Point Of Sale) system. •Collection of deposit data from GPC. •Reconciliation of deposit amount with bank statement. •Bank account and Insurance coverage arrangement for new GPCS. •Reconcile the physical payment of Citi NA with the invoice created and paid in ERP. •When bank sends the chaque count & deliver then to S & D.
 Collection of sales information on daily basis and reconciliation with S&D.  Bank arrangement (Citi NA, City & UCBL) to collect cash/ instruments.  Arrangement of Insurance coverage for stock and cash.  Commission calculation, payment, distribution of cheque to POS and accounting & reporting.  Salary payment coordination with Fund management and Payroll for GPDC employees.  Arrangement of support office equipments like money counting machines, cash volt, mobile phone for employees. 1. GPDC is online & data accumulation is also online (STS: ORACLE Database/Invoice). 2. More co-ordination between far flung areas to ensure better communication flow. 3. Better banking facilities (Online Banks) as the commission payments are made in far flung areas of the country. 4. Outlet level of education have to be high. Grameenphone Ltd. is the market leader in the telecommunication industry as well as Mobile Phone industry in Bangladesh. Its most important strengths are its innovative products and wide coverage. As a service providing company, better service than competitors can make them different. Though telecommunication sector is based on technology and most of the technical equipment has to be imported so Sales Commission unit of GP finance play a vital role their smooth operation. Grameenphone has invested a huge amount for building its networks. So, in every steps and segment of Sales Commission process should have to properly checked and guided. Sales are bread earner for any company and GP is no exception. Commission payments clearly selfless sales of the company. In GP, growth and new development is everyday matter so the processes mentioned here are under constant review and refinement. Change is so accepted in GP that today’s well-established practices can change very quickly bringing in something new.